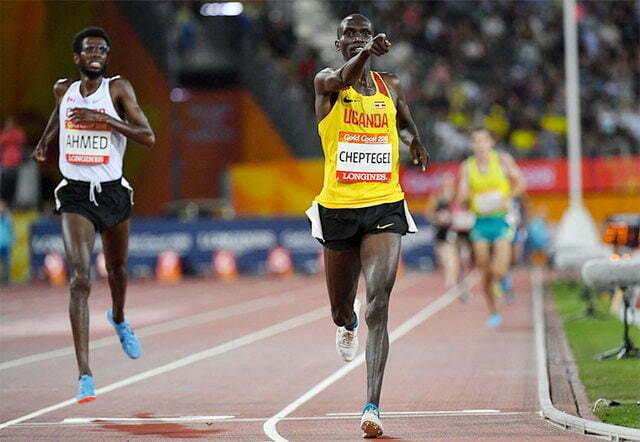 Uganda’s Joshua Kiprui Cheptegei has won his second gold medal at the 2018 Gold Coast Commonwealth Games. The 21-year-old Cheptegei who also bagged gold in the 5,000m few days ago run a tactical at the Carrara Stadium Track on Friday to win with the 10,000m race in a Commonwealth Games record time of 27:19.62. Canada’s Mohamed Ahmed was second with a time of 27:20.56, while Kenya’s Rodger Khemoi came third. 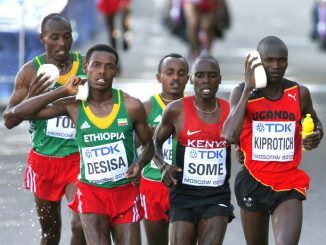 The other Ugandan runners Jacob Kiplimo, aged 17 and Timothy Toroitich were fourth and seventh respectively. Uganda has now won three gold medals and two bronze medals at the Games. Stella Chesang also won gold in the women’s 10,000m race, while Mercyline Chelangat picked bronze in the same race. Boxer Juma Miiro picked a bronze medal when he lost in the 46-49kg weight category semi final on Friday morning. Earlier in the day Uganda’s Winnie Nanyondo and Dorcus Ajok finished 4th & 6th respectively in the women’s 800m final, while Albert Chemutai run a personal best time of 8:19.89 to finish 5th in the 3,000m steeplechase final. Ronald Musagala finished 6th when he failed to qualify for the finals of the 1,500m. 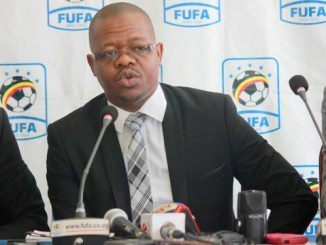 Uganda sent 69 athletes to the Games to participate in 11 disciplines. On Saturday all eyes will be on the women 4x400m relay final and the women’s 5,000m final. In the absence of 2012 Olympic Gold medalist Stephen Kiprotich, Uganda’s team of Robert Chemonges, Alex Chesakit and Solomon Munyo Mutai will battle in the marathon final on Sunday.